Job Title: Scheduling Coordinator Location:Milton Keynes Salary:£18k - £21k (dependent upon experience) plus generous bonus We are recruiting for a Scheduling Coordinator to oversee the scheduling, processing and installation of stock for a global storage organisation. Working as part of a close-knit, friendly team this role is a great opportunity to develop a career in logistics and operations within a stable, fast-paced environment. If you have great scheduling and administration skills this is an excellent opportunity to join a well-established, friendly organisation. 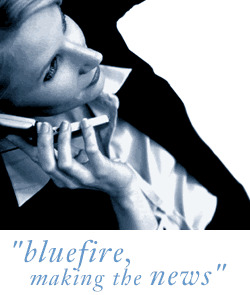 Bluefire Consulting are recruiting for a Scheduling Coordinator to oversee the scheduling, processing and installation of stock for a global storage organisation. Working as part of a close-knit, friendly team this role is a great opportunity to develop a career in logistics and operations within a stable, fast-paced environment. To be considered for the Scheduling Coordinator role you need to have previous working experience scheduling work and processing orders within an engineering, logistics, production or warehouse environment. You should have strong administration skills with an excellent knowledge of MS Word, Excel and Outlook. You will be working as part of a close-knit team so written and verbal communication skills are key in this role. The work itself is very fast-paced so you must enjoy a dynamic environment and be comfortable multi-tasking numerous roles duties dependent upon the needs of the client and supplier.